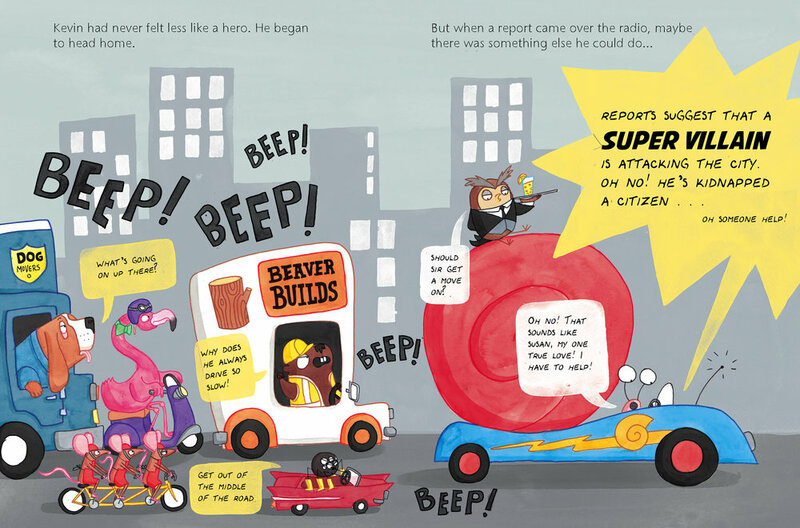 My latest picture book, Super Snail, is published today by Hodder! 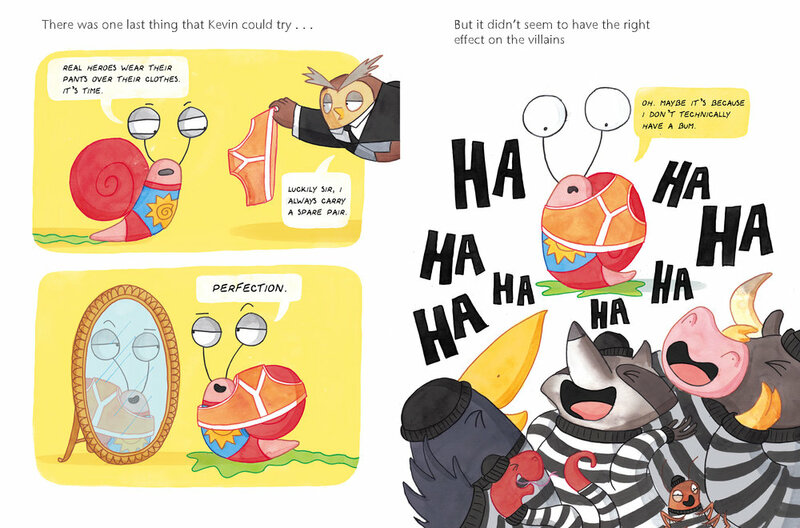 It’s all about Kevin who by day is a normal slug, but by night he puts on his shell and becomes Super Snail! With some help from his trusty butler, Wilfred, Super Snail must prove himself to the League of Heroes by defeating notorious super villain Laser Pigeon and save his one true love, Susan the worm. Will Kevin defeat Laser Pigeon? Will he ever be accepted as a proper hero? Will he save Susan? Does Susan even need saving? There’s only one way to find out… read the book! Lollies 2018 - Elys is a WINNER! I am absolutely delighted to have won best laugh out loud picture book for Mr Bunny’s Chocolate Factory at the Lollies. The Laugh Out Loud Book Awards (The Lollies), was created by Scholastic as a prize for funny books when the Roald Dahl Funny Book Prize ended. I think the thing I’m most proud about is being in a line up of winners featuring three funny women. Emer Stamp won best book for 6-8-year-olds with The Big, Fat, Totally Bonkers Diary of Pig and Liz Pichon won best book for 9-13-year-olds with Tom Gates: Epic Adventure (Kind Of). Who said girls can’t be funny eh?! Since my win I’m happy to report I’ve been carrying my trophy with me wherever I go and I can confirm it fared very well in the shower. 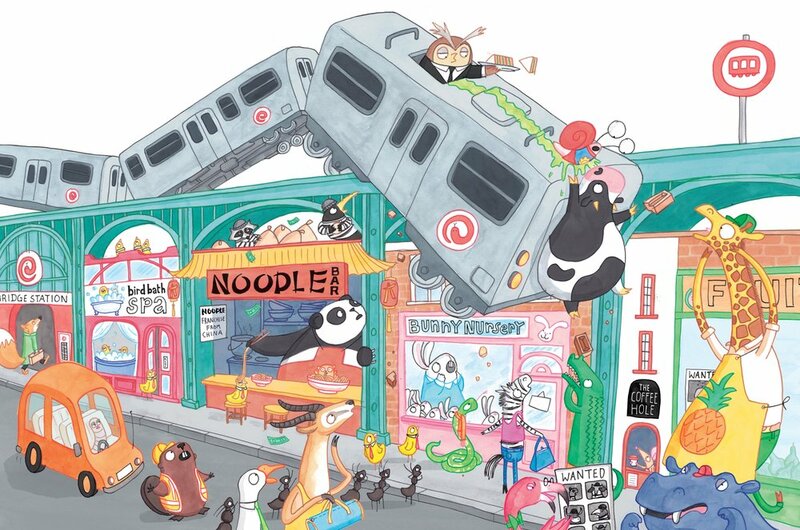 Mr Bunny's Chocolate Factory - political children's books in the Guardian. I’m very excited that Mr Bunny’s Chocolate Factory was recommended as one of 6 political children’s books you should definitely read by Zoe Williams. Zoe described it as a ‘systematic illustration of the trade union movement’. When I was making the book this interpretation didn’t occur to me until quite late in the process. I always thought the heart of the book was about what’s fair and what’s not fair and what might you do if things became incredibly unfair. On reflection, I think it’s more than a little influenced by my trade unionist mother! Santa’s Wonderful Workshop: What could possibly go wrong? Well, nearly, but my latest book, Santa’s Wonderful Workshop, is out now. It’s all about how Santa prepares for Christmas throughout the year and features ballet dancer reindeers, well intentioned elves, a post yeti, a cameo from the tooth fairy and far too many toasters.